POLICE across the Bahamas are being called on to stop the illegal netting and selling of bonefish in the Family Islands to protect the country’s multi-million dollar industry. via Read the whole story at The Tribune. Got to think it is hard for those Family Island/Out Island police to arrest folks for netting when they are probably related to each other and have grown up together. Still… it makes good sense to clamp down on this sort of activity. Aaron. The fish is in the water. That's good. If it isn’t guides getting fired, it is gill nets wiping out fish populations… Grand Bahama seems to have a number of things working against it these days. Thomas Rolle is quoted below. “I know that one time ago there were maybe one or two guys netting but now it’s out of control now. We have about 15, 16 or 17 boats – they’re netting the same areas every day and we’re in trouble now but before long there isn’t going to be anything there,” he lamented. via The Freeport News – Gill nets concern West End fishermen. Nets are bad for bonefish, and, oddly enough, bad for fisherman since they wipe out damn near everything they come into contact with. I’m culturally insensitive. I say that because this makes me angry. I know they’ve been taking and eating bones for a long time (probably not with modern nets though). Still, I think it is a sad, sad thing to kill a bunch of bonefish to sell them (I have not heard of them being sold before). 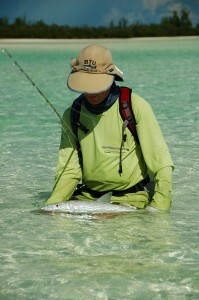 A bonefish is worth more living than dead. These fish are too wonderful to end their lives in a nylon net. If thinking that makes me an a-hole, I’ll just have to live with that. It was a good catch, they said, and then they drove off to take it to market. via Food, people, life, stories. 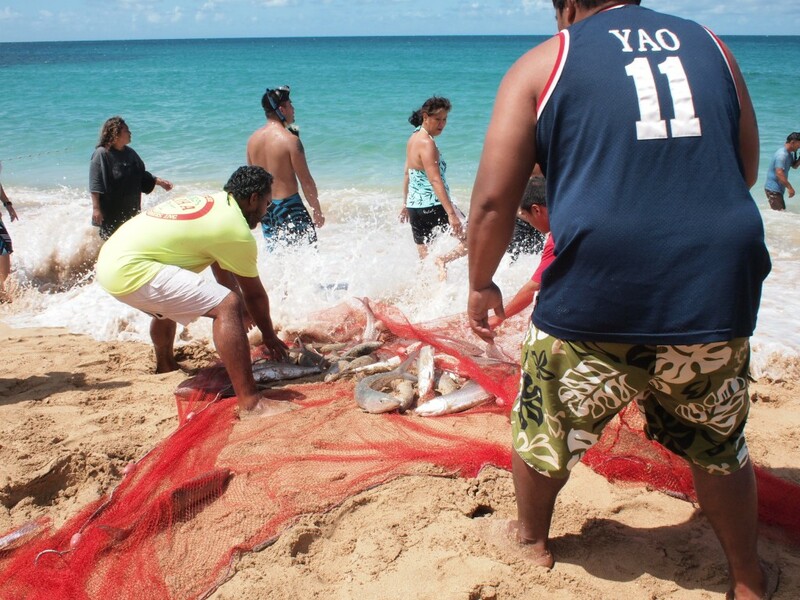 » Blog Archive » Pulling bonefish from the sea, Kaua’i style.